Myrna Loy, born August 2nd, 1905 some 40 miles outside of Helena, Montana and the posthumous patron of a facility christened in Helena in 1991, would likely have approved. That's because the basic premise and execution of Andrew Mozer's short film The Baby Mystery, created for a Myrna Loy Center 72-hour filmmaking competition, sounds very much like something Nick (William Powell) and Nora Charles might have bantered in one of their Thin Man films. Mozer chose to take a look at a couple’s challenge to provide an answer to a mystery for their sons. Their sons want to know: "Where do babies come from?" The parents’ answer evolves quickly from the simple classic, "when two people love each other very much, and hug and then nine months later..." to an elaborate tale of a trek through a dangerous forest and stealing chicken eggs from a wizard with an afro. 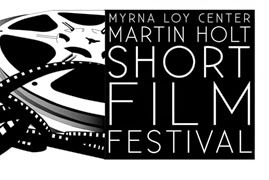 Journalist Corrigan is going out on a bit of a limb with the article, because there's a chance Mozer's latest short will *not* be one of the ones highlighted at Monday night's seventh annual Martin Holt Short Film Festival (admission: $15). But we agree; based on the premise alone, hard to believe it would not be picked as a finalist. Holt, a Montana filmmaker whose commitment and local contributions led the annual event to be named after him, passed away in 2011. Loy segued to the Great Martini Lounge in the sky in 1993. RIP.